Do you need a zero turn? Husqvarna Articulating Riders – A Better Zero-Turn? I put together a short video of a Husqvarna Articulating Riding Mower and how maneuverable it is. You have heard all of the advertising hype this year about how zero-turn mowers can save you time. But you have also heard all the horror stories of how they are hard to use, don’t work well on hills, and will tear up your lawn. Most of the horror stories are true. Residential zero-turn mowers will tear up your lawn if you don’t have lots of practice, they can be unsafe to mow on slopes and are expensive compared to a lawn tractor with the same mowing deck. This video shows a different type of zero-turn. 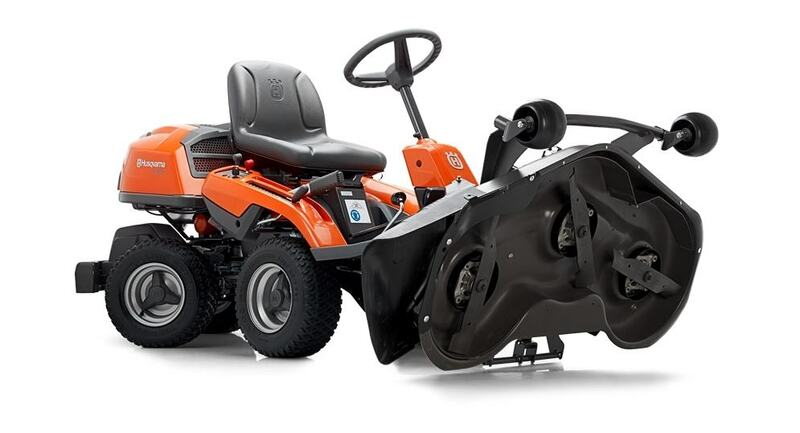 An alternative that is easy to use, drives just like your lawn tractor, works well on hills and has a better deck than most of the residential zero-turn mowers currently on the market. For most homeowners who want a zero-turn but don’t want the headaches that go with them this is a great alternative. 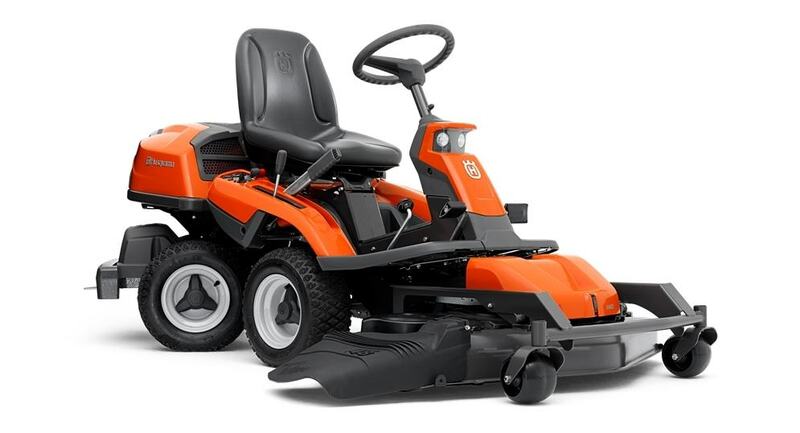 With the front-mounted cutting deck, you have complete control over your mowing area. You can easily see were you are mowing and the deck allows you to reach under bushes and get closer to fences and walls. The unparalleled maneuverability of the articulated steering lets you mow inside corners and inside curves without backing up. The steering makes the riders extremely easy to handle. You can drive one the first time and not worry about wrecking your lawn, landscaping or the side of the garage. The deck is a “ground hugging” deck. It follows the ground contours exactly to give you a perfect cut everytime. My front lawn is very uneven. I intentionally designed in dips, mounds and slopes to give it character. But after I built it I realized a 42 inch or larger lawn tractor can’t mow it without gouging and scalping the lawns in a dozen places. I used the Husqvarna in the video to mow it and there is not one gouge or scalp in the entire lawn. If you want the perfect lawn, ground hugging decks like these are the way to go. 15 Years – Still In Use Today! The optional BioClip Combi Deck is one of the best mulching decks available. You can use rear discharge for longer grass. The BioClip is especially suitable for well-maintained lawns that are mowed often. The finely cut clippings return to the lawn as fertilizer. If your lawn gets slippery or is too steep for a lawn tractor in places the AWD (All-Wheel Drive) model is a great investment. The Articulated Rider will handle most of the attachments you are used to. A sweeper, dethatcher, scarifier, spreader and trailer for lawn work. The R 220T and R 322T will handle a snow blade, a snow blower or a front-mounted brush to clear entrances and paths year around. You can easily switch the front mounted attachments. The Articulated Rider is a zero-turn mower that will handle all you lawn tasks. You work more efficiently, and get perfect results faster, with less effort. In addition, a wide range of accessories helps you complete other garden tasks all year round. With or without All-Wheel Drive – the decision is yours. Husqvarna also offers 2 other models with your choice of decks. These are dealer only models. Do you really need a zero-turn mower? 17 reasons why you may not want one. I purchased the 322 AWD w 41” deck and love it, but wanted see if anyone had any experience with a wider more aggressive tire. Any advice! @Wayne, Thanks for the feedback! I agree 100%. With the exception of a Walker mower the 220 and 322 are the most agile mowers on the planet. I took the deck off of a 970 (like your Rider 14) and my wife uses it as her yard tractor for her garden cart. She loves the fact that the cart goes in the exact same line as the rider when she goes around curves. I’ve recently purchased a R322t. I’m trying to find a copy of their Workshop Manual for that model. Of course the manufacturer and dealer would prefer to do the service and make that money, however, I grew up on a farm and have been taking care of equipment my whole life. Any ideas how I might locate a copy of the Service/Workshop manual for the R322t? After using the articulating mower all summer, what are your thoughts on this mower now?